As Oswald Company Healthcare President, Bob Wassler is the operations guy who loves the construction industry. He is responsible for the daily operations of the organization, ensuring all phases of the project meet our client’s expectations. His expertise spans across project management, preconstruction services, estimating and scheduling of projects. Bob has managed office, industrial, healthcare, retail and institutional projects since beginning his construction career in 1976. Prior to joining the Oswald Company, Bob held leadership roles at Schumacher Dugan and Messer Construction. 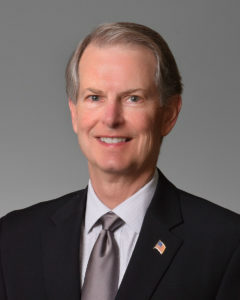 In addition to his executive experience, Bob has held leadership positions in industry associations, including Allied Construction Industries, Associated General Contractors, the American Institute of Constructors, Boy Scouts of America Dan Beard Council and the Cincinnati Eye Institute Foundation. When he’s not at the office Bob enjoys spending time with his family and grandchildren. His first job was working for his family’s business, Wassler Meats. Bob enjoys boating at Lake Cumberland and traveling with friends.